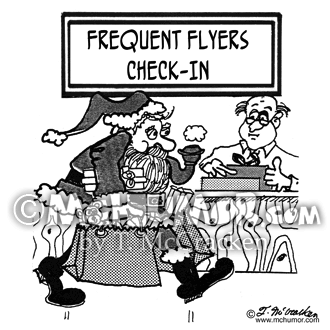 Frequent Flyer Cartoon 4532: Someone saying in front of a board posting delayed flights someone in an airport, "Not only am I a frequent flyer, I'm a frequent waiter." 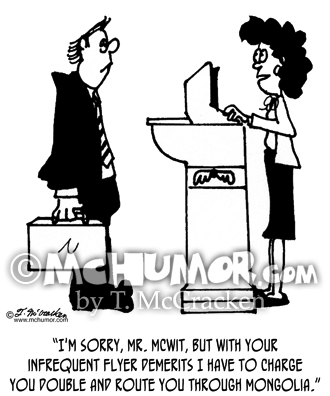 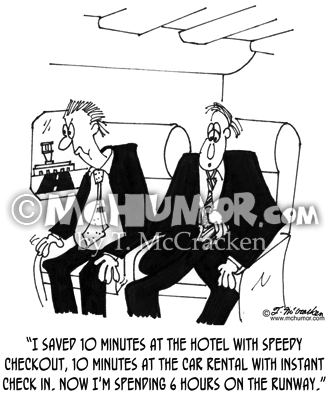 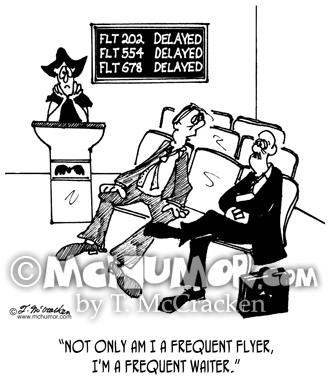 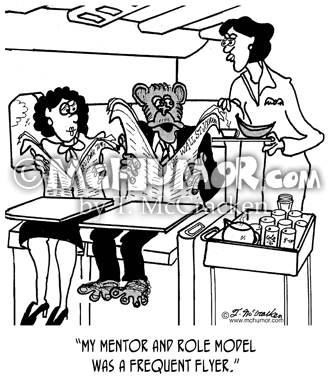 Flying Cartoon 3974: An airline clerk saying to a man, "I'm sorry, Mr. McWit, but with your infrequent flyer demerits I have to charge you double and route you through Mongolia." 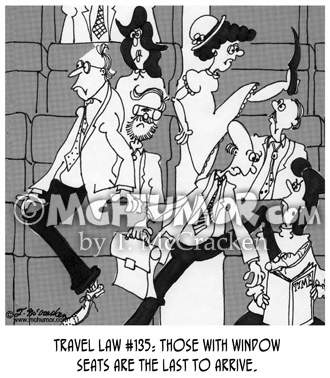 Passenger Cartoon 5224: Travel Law #135: Those with window seats are the last to arrive.” People climb over other passengers on an airplane. 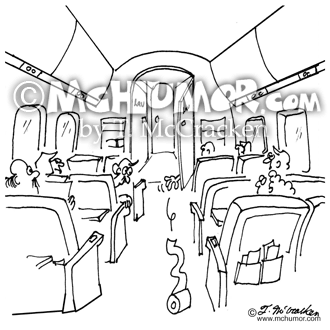 Passenger Cartoon 5810: A hand reaching frantically out a lavatory door trying to grab a roll of toilet paper that's rolling away. 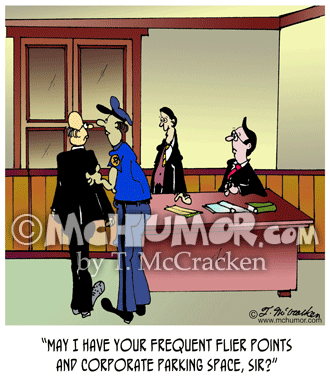 Frequent Flyer Cartoon 5516: A man shouting at another being led out of an office by a police officer, "May I have your frequent flier points and corporate parking space, sir?" 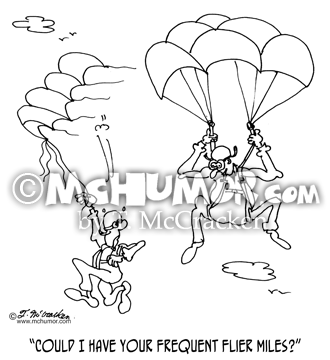 Skydiving Cartoon 8931: Someone shouting to another whose parachute has failed to open, "Joe, could I have your frequent flier points?"